The movie of the Marriage event ‘Srinivasa Kalyanam’ finally released today on 9th August. 9th August, this date….! 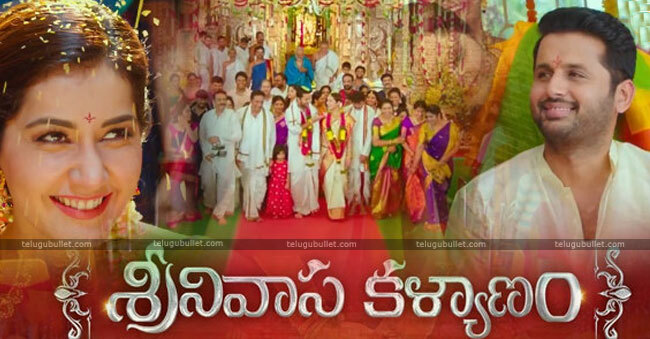 Yes, Dil Raju has faith in this date because of Bommarillu movie. Means, Bommarillu movie was released on the same date and it got a huge success. 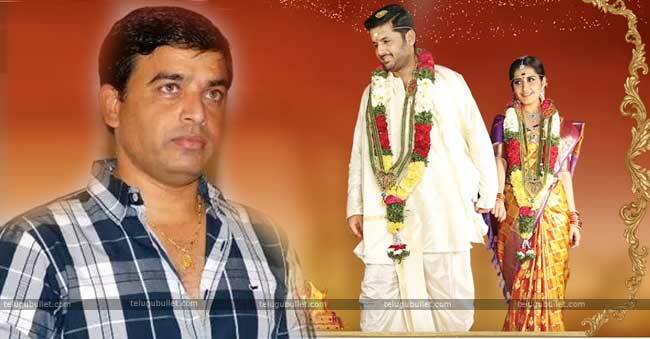 So, Dil Raju has high expectations on ‘Srinivasa Kalyanam’ movie and released on the same date. Although, he has shown the complete movie to the distributors of this film. Nowadays, it is not a normal thing that a producer believing a movie this much. Though, the reason behind his belief is director Satish Vegesna. Because Satish brought him a super hit film ‘Satamanambhavathi’. 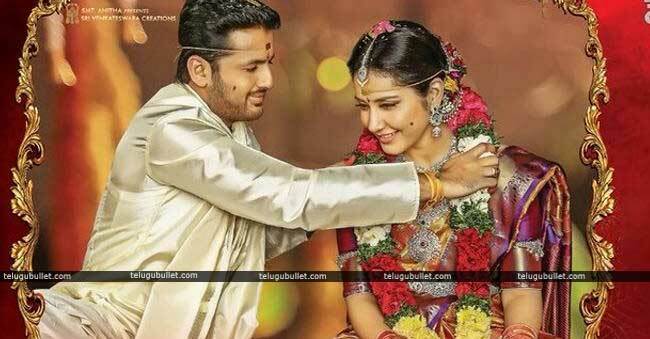 Although, Dil Raju has a good opinion on this plot and he wants to tell the value of marriage to this generation people. 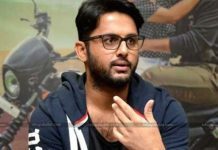 Moreover, Nithin trusted both stories of director and producer. Finally, the whole team TRUST is this ‘Srinivasa Kalyanam’ and it is in theatres now. Srinivas Raj (Nithin) has a big Joint family. He is very affectionate to his family also. Although, his Grandmother had said the value of marriage and he remains that in his mind forever. Though he resides in a city because of the job he still maintains contact with his family members every day and his sister in law likes him. But, a rich girl Sridevi(Raashi Khanna) falls in his love and Srinu also accepts her love proposal. Finally, she brings him to her father (Prakash Raj) who feels the marriage as an event. Her father accepts their love and marriage. But, secretly he puts a condition to Srinu for marriage. What is that condition and how does Srinu overcome that…? and what is the value of marriage..? Those are the key elements of further Marriage Event ‘Srinivasa Kalyanam’. “Humans may change with time but will maintain relations, emotions, and traditions. Although, new generations will know and give the value to the life’s most important moment Marriage.” Those points are the base of the whole movie. And, director Satish Vegesna makes the screenplay based on those two elements. Although, in every event of the film’s promotion the team has always told this thing about the film. So, the audience got the clarity in early and they feel that we are going to see the film which elevates the value of marriage. As come to the screenplay, the scenes before the marriage in the first half are really good to see. Actually, the scenes are well known but the way of showing them attractively is definitely the director’s credit. Moreover, the audience can imagine the effect of the heroine’s father agreement. In the second half, all marriage celebration starts and the emotions and relations all are maintained in the center of marriage. Because of those elements, the screenplay goes back and the film’s effect decreases. Again, with a sensible scene, the movie returns back with high voltage power. Though the story tells about the value of marriage, it is like a lesson. If there is a good lesson, without proper joy it won’t go into the minds of students. The audience may feel that if the director cares about the intensity of the scenes, the range of movie will go big. Only lack of that intensity, the interval and climaxes are going normally. But, the value of marriage which is director Satish Vegesna said that is very important and valuable also. Although, the comedy scenes are really good and plus point for the movie. As come to the performances, both Nithin and Raashi have done a great job and all cast gave their best. And, for small roles also, the director selected big actors, so it gives more beauty to the movies. After a long time, Punam Kaur appeared in this movie and did also well. Sameer Reddy’s cinematography and Mickey J Meyer’s music are excellent and plus points for the movie. Although, technical and production values are too good and every frame represents them. Telugu Bullet Punchline – ‘Srinivasa Kalyanam’… Not a poetry, just a marriage’s dictionary.